Hi everyone! It’s Jenny from thedotcouture! 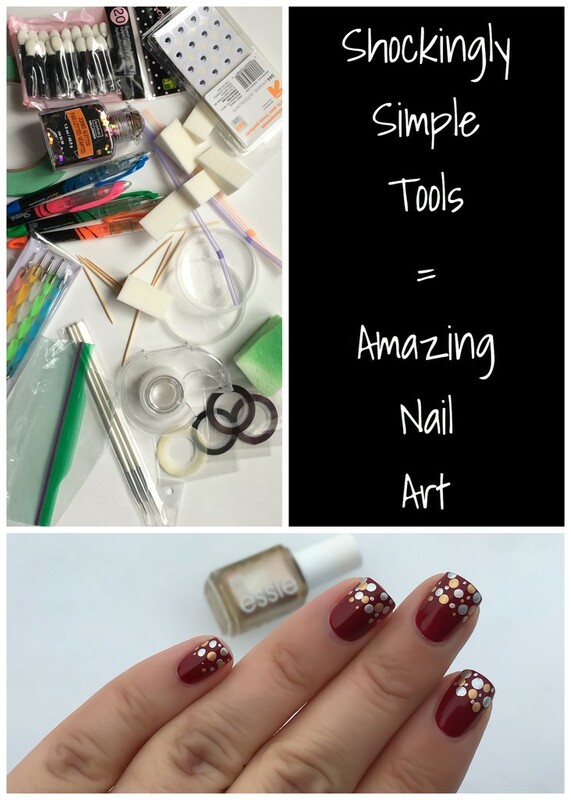 Today I thought I would talk about the everyday tools nail artists (and you too!) use to create interesting nail art. So you may wonder exactly how those nail artists create their looks. You probably think you need a fully stocked tool kit to even attempt some of them. Truth is, you can use things from around your home to create amazing and unique nail art. In fact, most nail artists started with the most basic of household tools (and probably still use them!) So let’s get started shall we? Sponges are something most of us have in our homes already. You can use any type of sponge you could think of (makeup sponge, kitchen sponge, automotive sponge, sea sponge) and each one is going to give you a very different look. Pictured above are some makeup sponges (generally used to create smooth colour gradients on the nail), and an automotive sponge (wonderful if you want to sponge some polish lightly over a contrasting base). 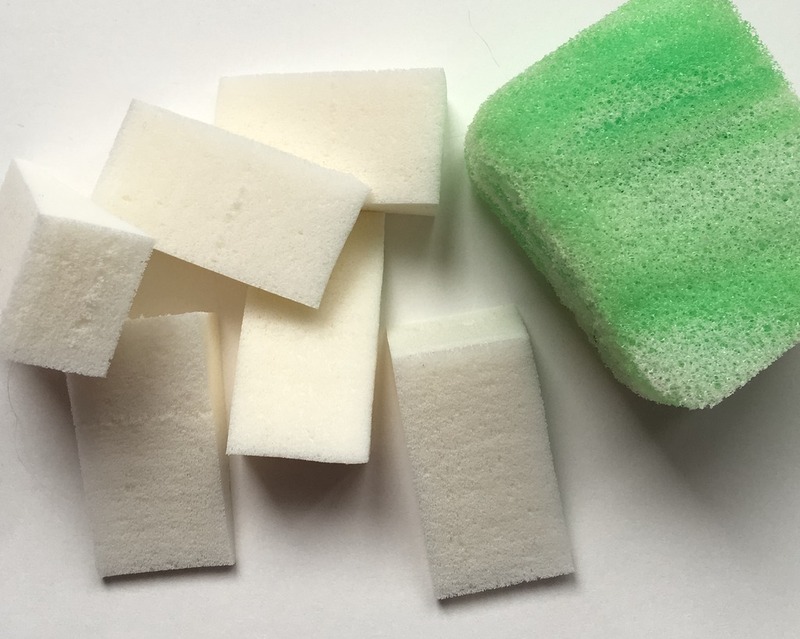 Sponges are inexpensive and require little to no cleanup (just cut off the used portion of the sponge when you’re finished). 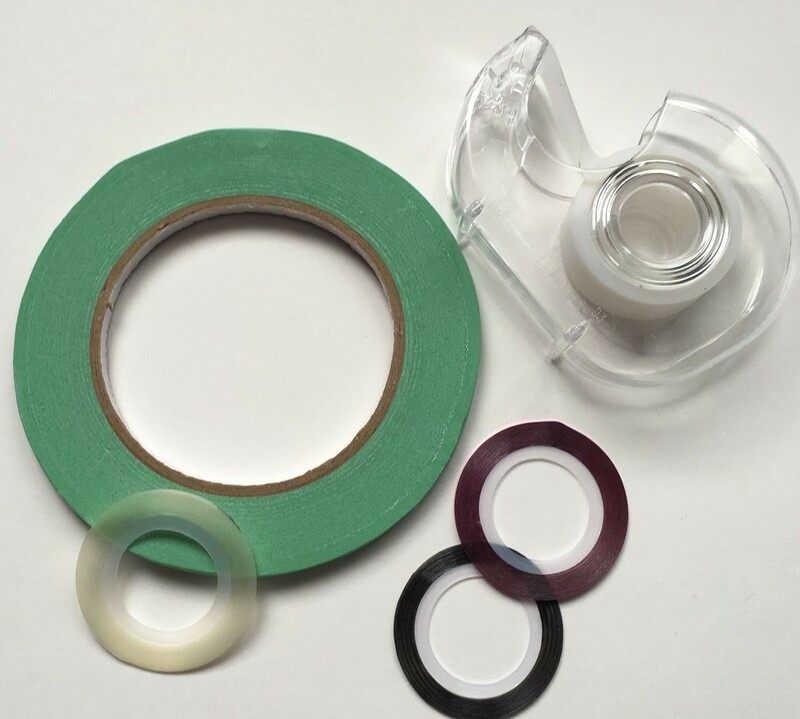 Another inexpensive and readily available tool is tape. Tape is wonderful for creating stripes, or more detailed images using stripes. Pictured above is 1/4″ painters tape (available at any hardware store), transparent tape, and if you want to get really fancy you can purchase nail art striping tape. These come in many different colours which means you can leave it directly on your nail and top coat over it as opposed to peeling it up after you have applied your nail polish. You can purchase nail art tape at your local beauty supply store, eBay, or Amazon. It’s very inexpensive as well. To create nail art using tape, you will want to paint your nails a base colour, use a quick-dry top coat, then let that dry a good 15 – 20 minutes (this will prevent the tape from ripping up your base colour when removed). Then, apply your tape of choice in any pattern you desire. Paint nails again with a contrasting colour, and remove tape before that top layer dries. Top coat again and you’re done! 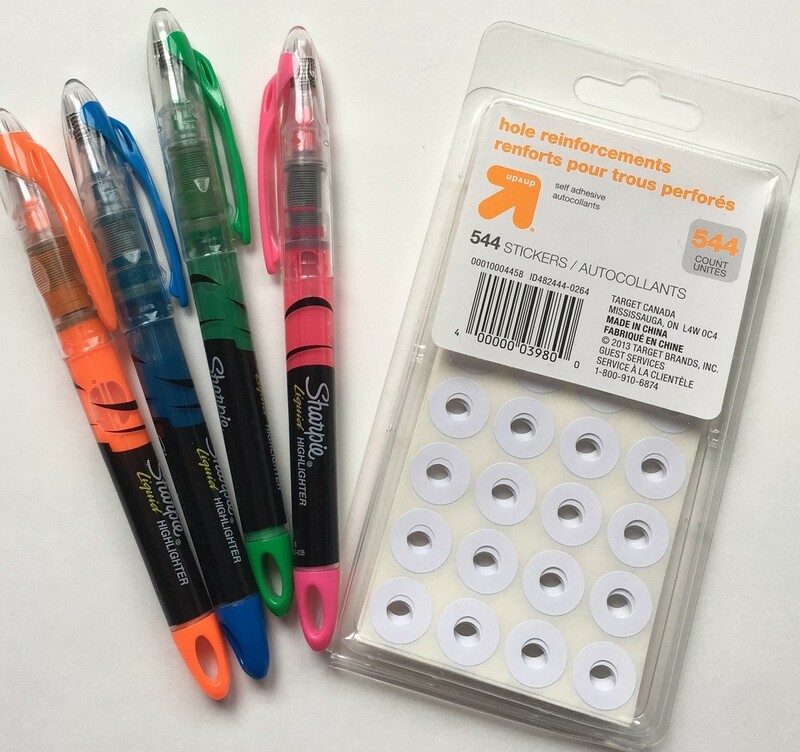 Remember when you were in school and you’d colour on your nails with your markers, or stick those binder reinforcements on the tips of your nails to make it look like you had long nails? Well you were on to something. Sharpies are often used in nail art. Depending on the look you are going for you can colour directly onto a white or silver base, or you can add some rubbing alcohol to dilute it and give it an interesting effect. 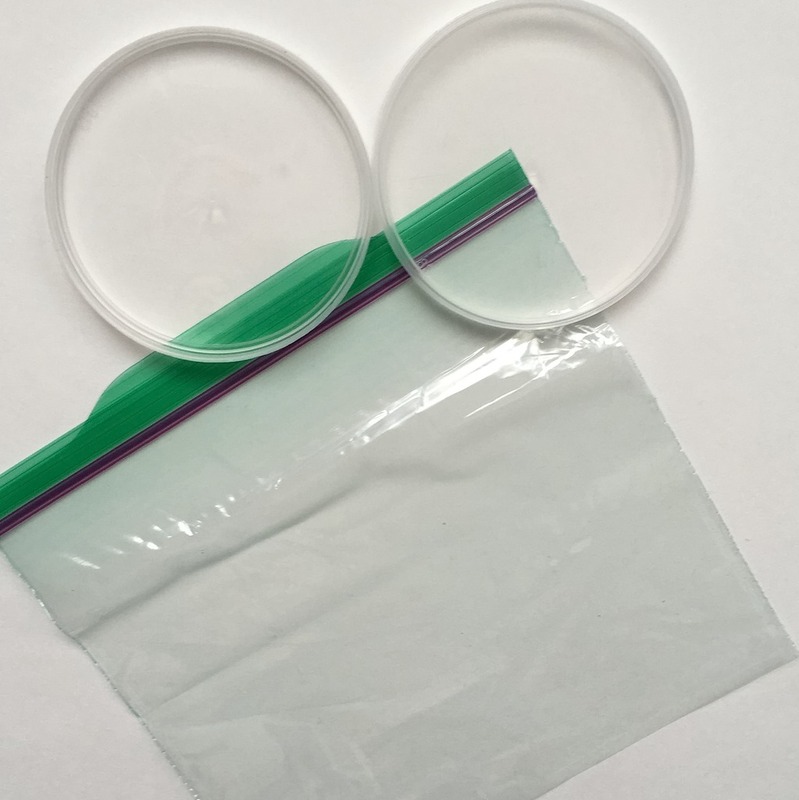 Hole reinforcements are often used as a tip guide for creating French Tip manicures. Eye makeup applicators are handy for glitter application, especially if you want to create a dramatic glitter gradient. 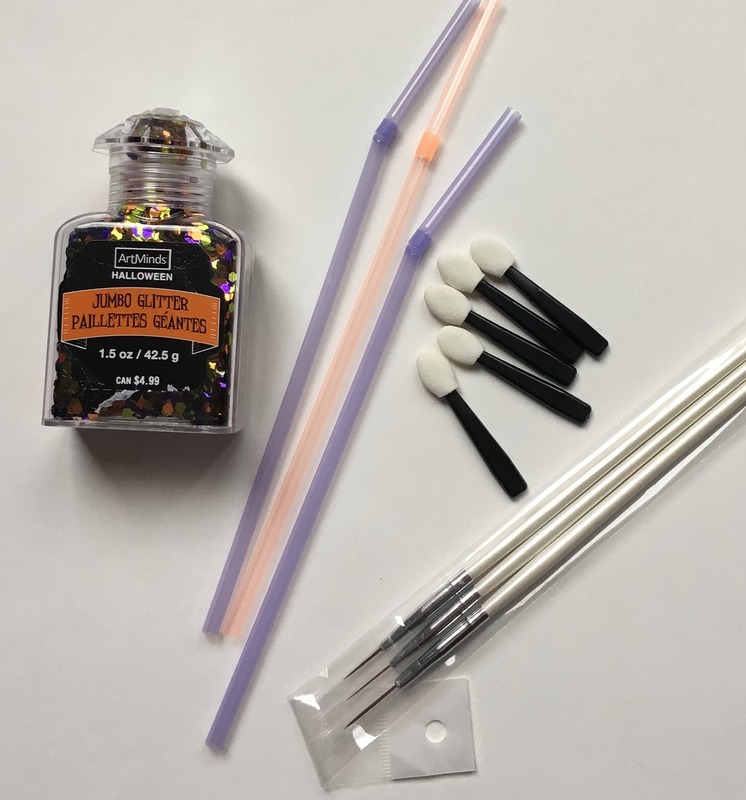 Straws are great for splatter manis – you dip your straw into the polish bottle and blow all over your nails (warning – this technique requires some major cleanup!). 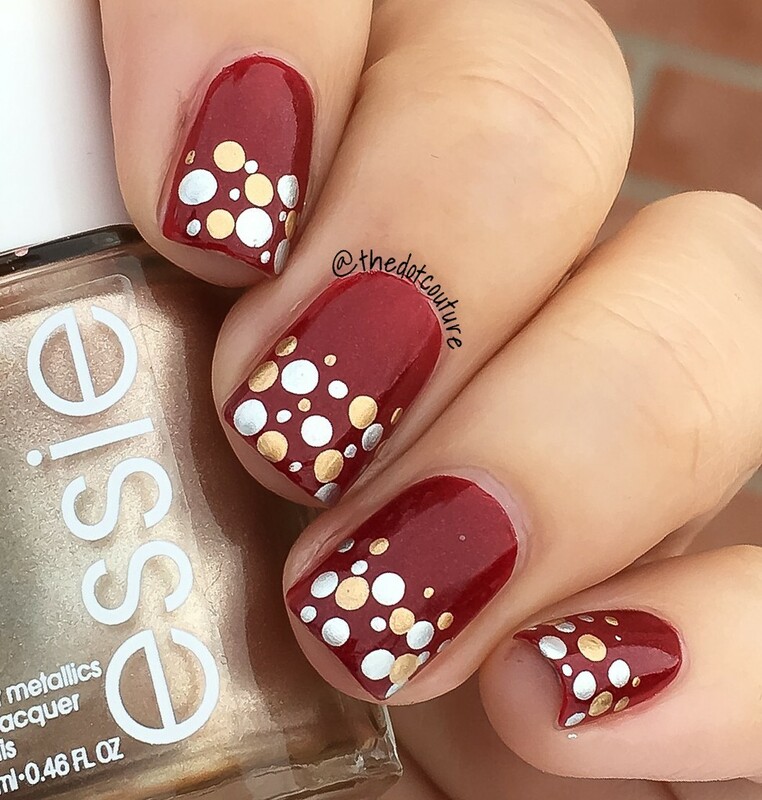 Craft glitter can be used to add drama to any manicure. All you need to do is apply a drop of topcoat and carefully place the glitter on the nail. Top coat to seal it all in. And of course a small set of paint brushes for freehand work is always helpful! Sandwich bags and lids from food products make excellent paint palettes for when you’re using multiple colours of nail polish. You can also use the ziploc to create a decal (especially helpful if you find it difficult to paint details using your non-dominant hand). You just paint your design onto the sandwich bag, allow to dry, gently peel off, and apply to the nail. And last but not least, here are some options to create cute polka-dot manis (often referred to as dotticures). I hope this post was helpful for you, and I encourage you to look around your house to see what you can use to create amazing nail art designs!! If you’d like to see more fun nail art, come on over and check me out on Instagram at @thedotcouture. Until next time, happy painting!